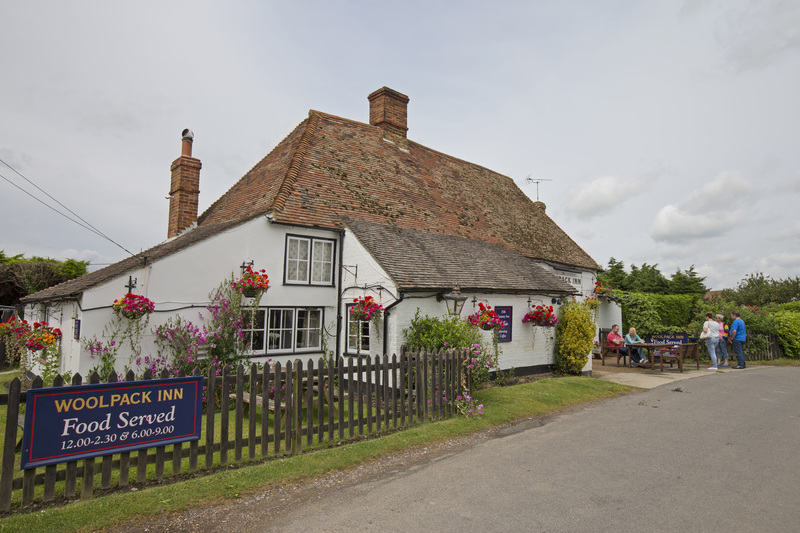 The Woolpack Inn dates back more than 600 years and stands in the heart of Romney Marsh, surrounded by dykes and reed beds that are home to a wealth of wildlife. A former smugglers' haunt, the pub oozes charm and character, with hops adorning old beams, a large inglenook fireplace and quarry tiled bar. 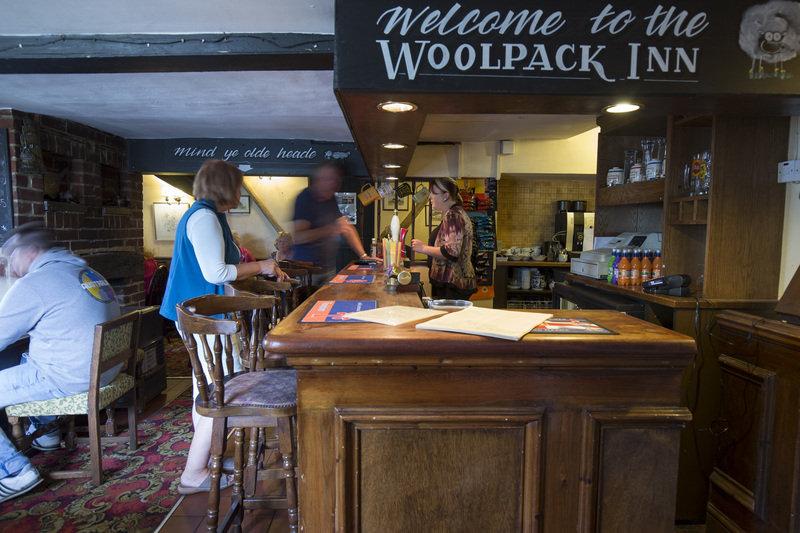 Located in great walking country, the Woolpack Inn is a perfect place to stop and satisfy the thirst and appetite during a day out in the country. Food is taken seriously at this pub. Excellent traditional pub food is served - all fish and game are locally sourced and the delicious mature British beef steaks are always prepared to the individual customer’s taste. 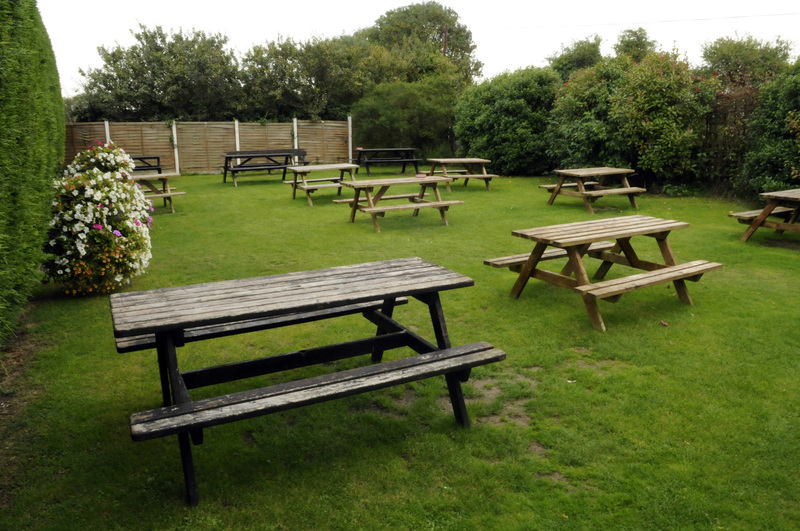 The pub also has two large beer gardens with neat lawns, shrubs, hanging baskets, picnic benches and a barbecue area. 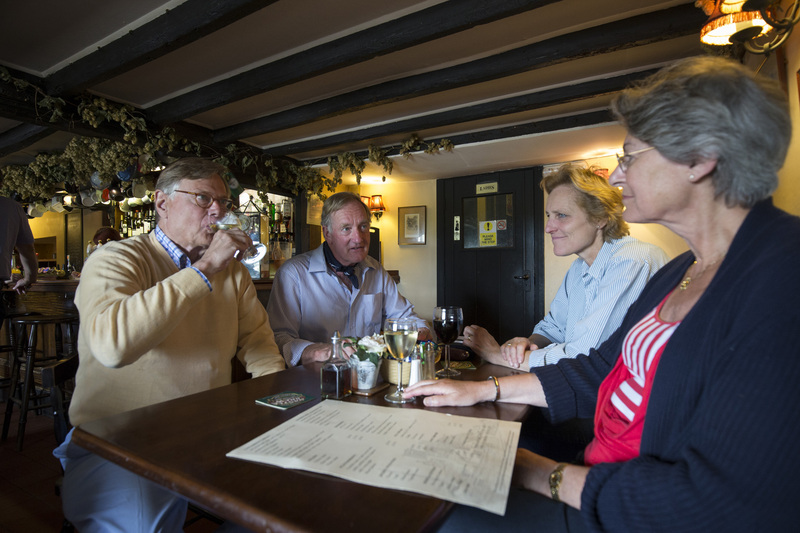 Our menu offers the very best in traditional British pub food, using fresh locally sourced produce and fresh vegetables and ingredients, all home-cooked and made to order. We hope you’ll love it! Please note the menu may change without notice. Please contact us to have an up to date menu emailed or posted. Gorgeous old pub with good selection of drinks and ales, had a lovely meal, food was great, piping hot, nicely cooked and good value for money, staff friendly and efficient. Nice pub got there late but was made welcomed food was fantastic and prices were value for money would go again. Told family and friends who said they would give it a try.